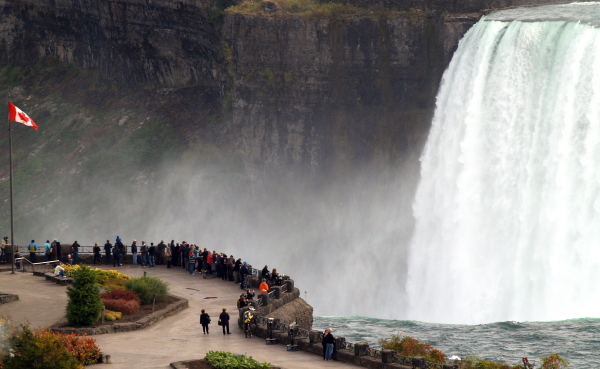 For many people, a trip to Niagara Falls is a once-in-a-lifetime opportunity to see a wonder of nature. If your school group, university group, or civic organization is coordinating a group excursion to Niagara Falls, then we want to share with you some ideas to make the most of a short trip. Each evening, the Falls are illuminated in a display of colorful light. Consider an early-afternoon arrival. Take advantage of early-bird meal specials, and make the light show your first stop. After enjoying breakfast at your hotel, purchase group tickets to enjoy a trip on the Maid of the Mist boat, behind the curtain of water. This boat tour has been operating for over 100 years, and it gets travelers so close to the Falls that it requires loaner raincoats and boots. Within a short drive on Niagara, on the Canadian side, travelers can experience over 20 wineries producing Icewine, a dessert wine made with grapes that have been frozen while still on the vine. In late summer and early fall, the scenery is quite beautiful and absolutely worth the ride. There are excellent casinos in the American and Canadian sides of the Falls. These casinos offer a variety of entertainment and the standard gambling fare. If your group is comprised of adults, then this is an extra-fun way to end the day. The Great Wolf Lodge Niagara Falls indoor water park is a fantastic year-round activity for groups with children and youth. The resort is ideal to finish out your three-day trip, with rest and relaxation for everyone in your group. Finding the right group hotel in Niagara Falls is as simple as calling your Groople travel expert. We can leverage our group-purchasing power and get you outstanding deals and group discounts.